One of the most popular trivia nights from last year returns once more, with feeling! The stakes are even higher this time! 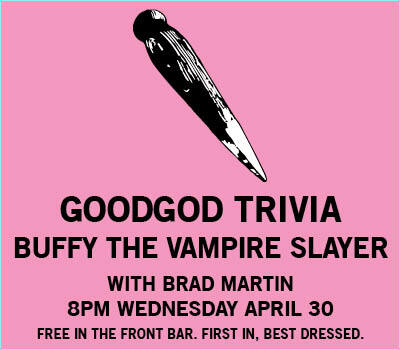 Start studying up for a night of terrifying trivia! Grr… Arrrg! First questions from 8pm, gather a crew and get in early for the prime tables! Free entry!